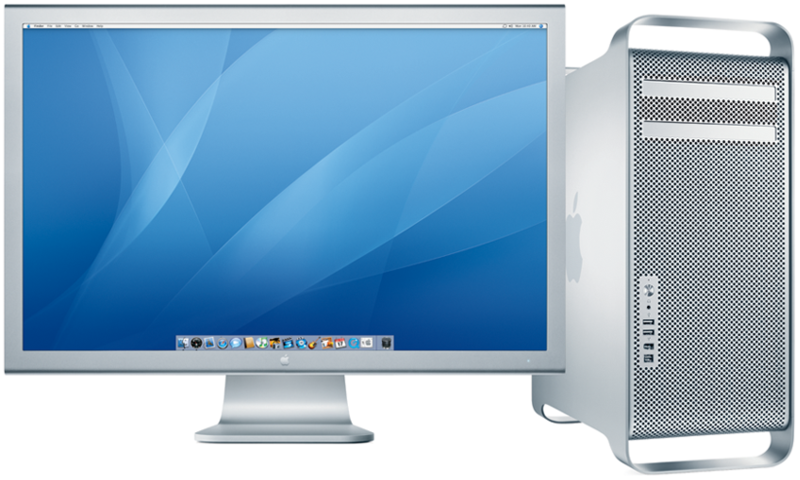 Today at the WWDC “06 Keynote, Apple announced the long awaited Mac Pro. The new Mac Pro, a G5 replacement, features a Intel Dual Core Xeon 3GHz Processor, 16GB RAM, NVIDIA 512MB Video Card, Up To 2TB (terabytes) of Storage, a 16x Dual Layer DVD SuperDrive, and PCI Express Expansion Slots. This new 64bit system is supposedly 2x the speed of the top of the line configuration of its predecessor. Also note that with the launch of this machine, Apple has finally fully transitioned over to Intel. As stated at the keynote, the Mac Pro will begin to ship today and pricing will start at $2,500 with the bare minimum configuration. Apple also released a new Mac OS Xserve Server and previewed the upcoming Mac OS X Leopard. Getting back on track, this is an extremely powerful machine and therefore is expensive. However if you are like most average consumers you probably can’t afford to spend that much. I wouldn’t worry because knowing Apple, they most likley release a new product called the “Mac” within a few months just as they did by launching a low-end “MacBook” after the launch of the pricey “MacBook Pro”.